Finding a stylish sofa that fits your living room and aesthetic is no easy feat, especially when you're on a budget. Thankfully, Amazon Prime Day is here to save the day. The highly anticipated sale starts on July 16 and lasts for just 36 hours! 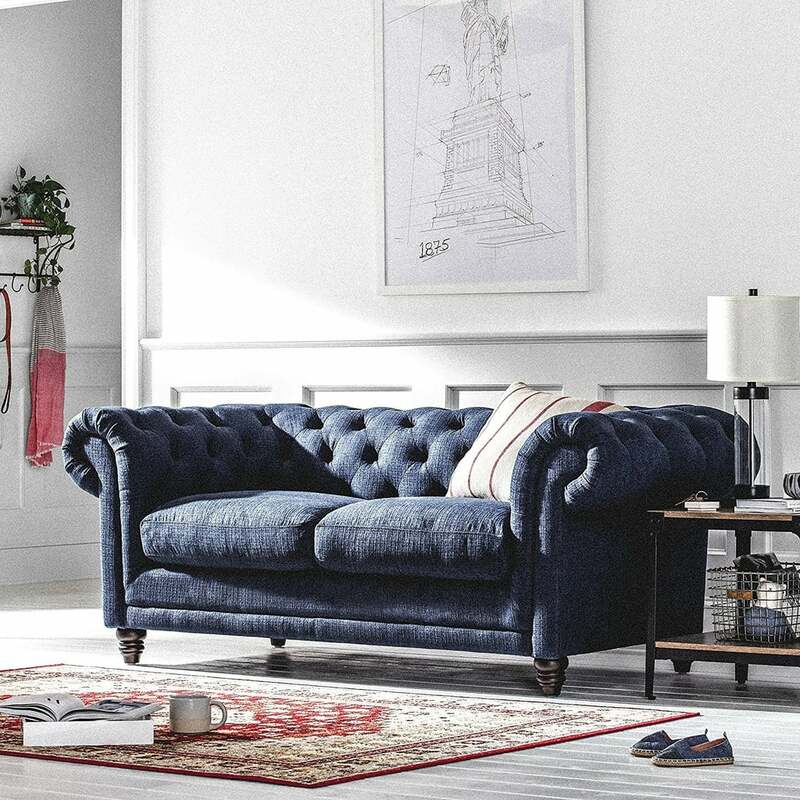 We're already splurging on tech gadgets and cute dresses, but when we shopped the mega retailer's home furniture section, we were floored for the deal on this Stone & Beam Bradbury Chesterfield Tufted Sofa ($639, originally $999). The eye-catching sofa has a modern twist on the classic Chesterfield sofa, and we want it now. The navy material is perfect for any room with a neutral palette. Plus, its dark shade will hold up for years without showing stains or dirt. The comfortable arms and deep cushions not only make it pretty but also comfy as hell. You'll never want to leave. Finding a piece that looks this good and is actually comfy is rare, especially for under $1,000. Only a limited number are available until the sale is over — hurry and get yours now!